Fiji’s largest island is Viti Levu and the west side of the island is a great place to stay if you are interested in being near Nadi airport for convenience. While you might not have the tiny private island experience that you’ll find in the Mamanucas and Yasawas, you’ll find more of that wonderful Fijian culture, adventure in Fiji’s rustic interior and great restaurants, and water activities. You will also find top resorts the Denarau area for pampering, relaxation, and special events. If you find yourself staying near the airport or have a day to check out this area before going to the outer islands, here’s our list of cool things to do. The list includes activities near Nadi, Denarau and down further south to Sigatoka. Visit a large collection of orchids at the Garden of the Sleeping Giant: Trek through footpaths to a massive collection of colorful orchids. This is the largest collection in the Pacific with more than 2,000 varieties of Asian and Cattleya hybrids once owned by the late actor Raymond Burr. Bring a picnic lunch and have an afternoon in a beautiful Fijian garden. The Garden of the Sleeping Giant also has some great hiking trails for some adventure. Have a unique experience in a therapeutic natural spa: The Sabeto Hot Springs and Mud pool offers travelers a unique experience just outside of Nadi. There are three pools which can be used to sit in and cover yourself with mud in tropical surroundings. The hot springs has sulfur in the water believed to have healing properties and age defying benefits. Visitors will find both locals and travelers here and therefore a great way to get to know the locals while taking in natural Fiji. Have a rum beverage at Rhum-Ba: This bar and restaurant has gorgeous views over Port Denarau. And these guys have a wide range of rums from around the world including Australian, Caribbean, and South American. Rhum-Ba currently has 100 rums and they plan to expand it even further over time. Have a drink and stay awhile. Relax at the newly opened Malamala Beach Club in Denarau: We talked about the opening of this chic day club located in the heart of Denarau on our blog here (insert link). This is the only day club of its kind on the island with a Fiji’s largest infinity pool, cabanas, food, and drinks. It’s a perfect respite before a flight home or use it just after stepping off the plane. Malamala offers transfer services to the airport for easy in and out. Explore the local markets of Nadi: Take a walk through a Nadi Produce Market to gain insight on local fruits and veggies grown in Fiji. Fijians are some of the friendliest people in the world and would be delighted to tell you more about their produce. No worries on a language barrier as English is widely spoken in Fiji. Check out the many activities in Denarau Island: This area is bustling with plenty to do whether you are staying here or just visiting for the day. 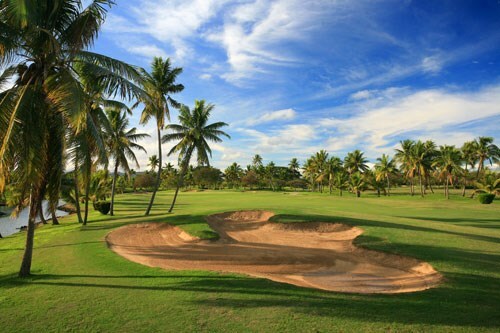 Here you will find the Denarau Golf Club, an 18-hole challenging and stunning course with long fairways and several water hazards. There’s snorkeling, jet skis, and other water sports rentals here. There are also excellent restaurants featuring locally caught fish at the marina, where you can sit overlooking the waterfront. Take a ride down the Sigatoka River and visit a local village: The Sigatoka River Safari excursion cruises down the Sigatoka River in a jet boat with 360-degree spins and visits a traditional Fijian village. Travelers will see the fertile area in the middle of Fiji known as the “salad bowl.” By choosing this activity, travelers can directly contribute to various projects in the village, and they will leave knowing which village will benefit from their contribution. Lounge around one of Fiji’s most beautiful beaches: Natadola Beach is a stunning beach located along the western side of Viti Levu. With gorgeous white sands and turquoise water, you may want to plan a full day here. While there are great resorts like the Intercontinental to stay overnight, travelers can visit the beach regardless. Visit the Sri Siva Subramaniya Temple: The Sri Siva Subramaniya Temple is the largest Hindu temple in the Southern hemisphere. 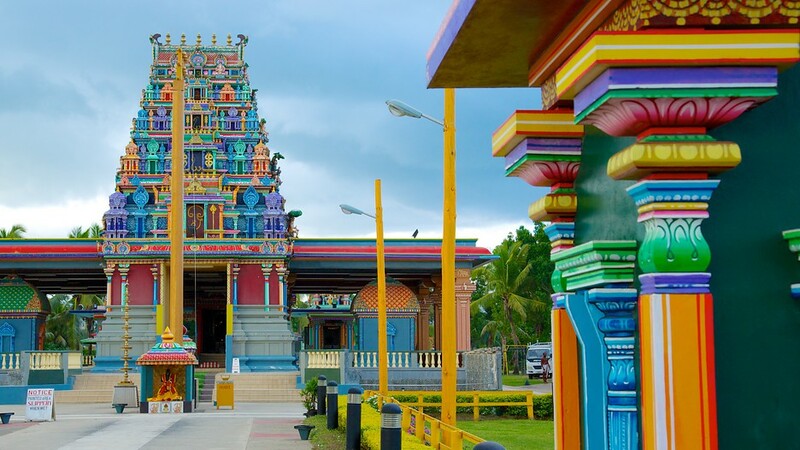 The brightly colored temple is easy to spot on the main road through Nadi. The old temple building has been in existence since 1926 and was later rebuilt and reopened in 1994. The temple was built in the traditions of ancient Dravidian Indian temple architecture. Learn more about Fiji’s wildlife: Take a wonder around Kula Eco Park to see Fiji’s wildlife, located an hour south of Nadi. Learn more about the ways in which the park is working to protect the rare Fiji crested iguana. The park is an easy drive through Viti Levu’s scenic coast.